Roberts has been previewing material from this, his fifth album, whilst performing warm-up duties for Joanna Newsom on her UK tour. His unaccompanied solo performances demonstrate the hushed power behind that unaffected Scottish accent of his, and the ornate open-tuned guitar parts he weaves around his voice. Very wisely, The Amber Gatherers sees Roberts doing little to adorn these powerful core elements, with only the gentlest smattering of extra instrumentation to add texture. At the heart of Roberts’ work is a rich understanding of the folk heritage from which his music originates. Beyond the remarkable grip he has on melody – able to make his music at once fresh and recognisably steeped in tradition – Roberts is a magnificent writer of words, that sound like they come from a source far older than his age could allow. He comes out with some beautiful couplets, like “The stallion in canter / The river in meander”, and fashions songs like the immensely poetic sea shanty ‘The Old Men Of The Shells’. 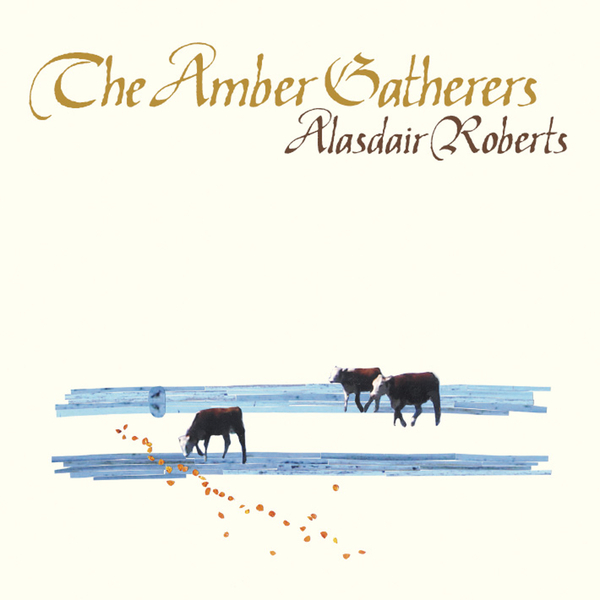 The Amber Gatherers displays a wonderful, unashamedly old-fashioned approach to writing folk music. Very highly recommended.